The horrific shooting at the synagogue in Pittsburgh is the latest high-profile example of police officers and other first responders using their training and professionalism in responding to a crisis. By all reports, they acted quickly, courageously, contained the situation and limited the tragic loss of life. Our thoughts and prayers go out the victims and their families, and we thank the first-responders who were on scene. The officers were in the line of fire and responded as they were trained to do. Local police work is buttressed by experiences gained not only from years of police work, but also by a rigorous training regime developed by Municipal Police Officers’ Education and Training Commission (MPOETC). Police officers at all levels are constantly tested. They need uniform, state-of-the art training, new perspectives and insight on how to better do their jobs. Training upgrades, combined with modern equipment, plus heightened exposure to community policing makes the police better and communities safer. It is important to help local police do their jobs better. That’s why we sponsored bipartisan legislation in both the state House of Representatives and Senate to ensure that MPOTEC had a full complement of commissioners. We were very pleased when Gov. Tom Wolf signed the legislation into law as Act 129. The legislation allows a new member to be appointed to MPOETC. The seat on the board was previously specified for an appointee from the Federal Bureau of Investigation (FBI). However, the Department of Justice advised against filling the seat, given the FBI’s reluctance to serve in a supervisory role with local police who they may have to investigate. Under the new law, the seat on the commission will now be filled by an appointee of the Fraternal Order of Police (FOP). The FOP representative will provide additional valuable insight and add to the expertise on the board. The goal is for no police officer to be surprised by any situation: anticipate, train and repeat. Then expand the knowledge base and train some more. Good police work requires excellent training. Excellent training requires more resources and different perspectives on training. Widening the perspective and gaining new insight into how to deal with conventional and unconventional law enforcement situations is critical to the safety of the officers who respond and the citizens they serve. MPOETC was created in 1974 to establish training and certification standards for municipal police. The commission has wide responsibilities and is the arm of law enforcement training that handles certification in various aspects of the lethal weapons training, continuing education, and governs retired law enforcement officers. MPOETC is a critical piece of our system of training local police. It is flexible and able to adjust its training regime to incorporate new initiatives and refine old practices. The commission was originally established in response to a federal effort to improve local police training. Over the years it has been successful in developing innovative training protocols and educating police officers. It continues to evolve and adapt. Given that it is likely that the commission will have to deal with issues such as developing uniform use-of-force policies for local municipalities and community cultural awareness training as proposed in legislation, it is fortunate that it will have a full complement of members. Good police work begins with superb training. Pennsylvania is fortunate to have MPOETC to prepare future police officers and keep those already on the job ready to handle any situation. Our communities and our citizens deserve no less. 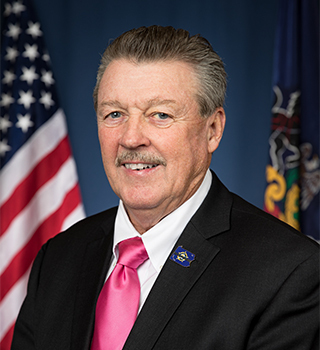 Sen. Jim Brewster formerly was mayor of McKeesport, a member of city council and vice-president of operations at Mellon Bank. 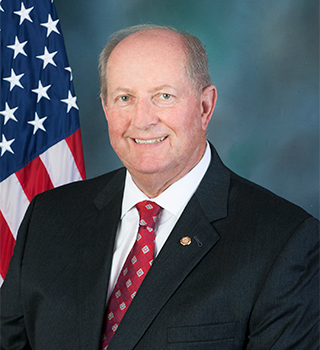 Rep. Barry Jozwiak was a Pennsylvania State Trooper, sheriff and farmer. He is a member of MPOETC.